Hair By Daniel John was founded in 2006 by Daniel John Bewley. 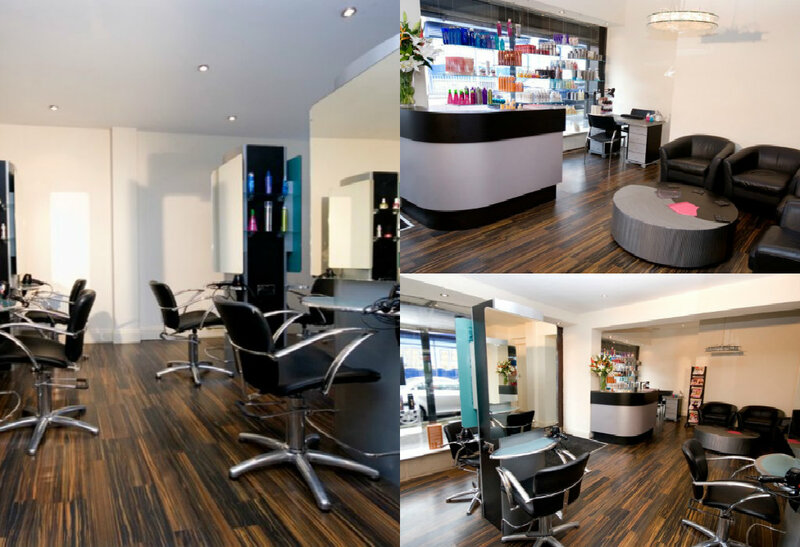 Since then our salon has grown from strength to strength and has become one of the most progressive and innovative names in the local hair and beauty industry. In 2008 we moved to a larger premises, and were rated one of the only five star salons in the Durham and Sunderland area by the Good Salon Guide. Daniel and his team are committed to providing all clients with a professional five star treatment and great customer care at affordable prices. We only use professional brands including L'Oreal, Joico, GHD, Paul Mitchell, Keratin Complex and Awapuhi with Ginger, as well as Dermalogica, O.P.I, Fake Bake, Creative Nails and Nouveau Lashes. Our team boasts over 40 years experience in both hairdressing and beauty therapy, and we regularly attend training seminars throughout the country to insure that we are kept up to date with emerging current and traditional looks. Making sure all clients will be fully satisfied. Our aim is to make you look and feel fantastic! Hair by Daniel John is second to none. All staff, from the top down are exceptionally professional, innovative, friendly, and perhaps most importantly listen to what it is your looking for from your hair style, and do just that! Appointments are always seen on time and staff go over and above to ensure your visit is one that makes you leave feeling fabulous! I don't know of another salon in the area which can match this service. I started going to Hair by Daniel John a few years ago and immediately realised that Katie and Daniel were at the top of their game. Katie is my regular stylist and I have to say I would not now look elsewhere. As a client with long, thin, frizzy hair naturally, Katie introduced me to Keratin Complex and I can not believe the change in my hair! The service from Katie is second to none. She has a way with clients that builds trust and confidence and customer relations are very important to her. If ever I want a pin up or something different for any occasion (wedding/night out) Katie knows just what to do. Both Daniel and Katie introduced me to the innovative Temptress Hair extensions after having been a fan of extensions for over 10 years. They know me, my hair and what I want. The salon is always striving to provide the latest methods, products and best customer service. In short, they do this effortlessly. I cannot recommend Katie enough. She is simply amazing. I recently moved to Houghton and was looking for a good salon, I made my appointment with Daniel for a complete change, cut and colour, all I can say is AMAZING!!!! the whole experience was fantastic. Daniel explained what he was doing and gave advice the whole time. The salon is the most professional, friendly and comfortable I have EVER been to and I've been to many many salons. I now have a salon I will be going back to again and again. Thanks Daniel!!! I certify that this review is based on my personal experience of Hair By Daniel John and is my opinion. I have no business or personal link with Hair By Daniel John and have not been offered payment to write this review. By providing these comments you give Good Salon Guide permission to review and publish this information. Good Salon Guide reserve the right to edit comments for length, spelling or clarity where appropriate. As part of this appointment request Good Salon Guide will record your name, email address, telephone number and appointment details. This information will be passed to Hair By Daniel John by email, through the Good Salon Guide app and over the telephone. This data will not be shared with any other companies and we will manage your data in line with your preferences below.